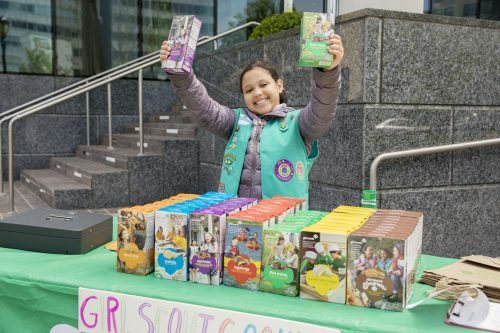 Girl Scouts of Gateway Council (GSGC) proudly announces the 2019 Girl Scout Cookie program season, celebrating the largest financial investment in girls annually in the United States and a powerful entrepreneurship incubator for the next generation of female leaders. Girl Scouts in the Northeast and North Central Florida region are taking orders through their Digital Cookie websites and in-person. Cookie booths with purchasing locations outside many local stores will follow beginning Feb. 9. 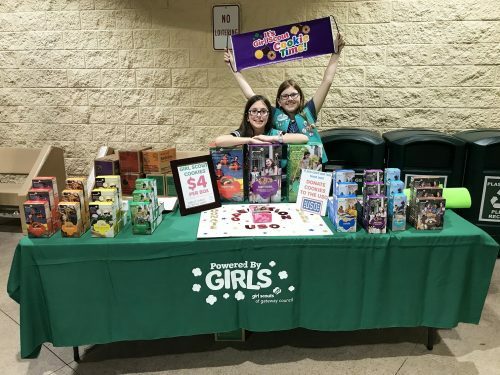 Given that over half (53 percent) of female entrepreneurs and business owners are Girl Scout alums, supporting Girl Scouts as they make sales and learn essential business skills is imperative to ensuring the country has a strong workforce and economy. The Girl Scout Cookie program’s benefits are many. A recent Girl Scout Research Institute study found that two out of three girls who participate in the program learn five essential life skills — goal setting, decision making, money management, people skills and business ethics — skills for success now and in the future. All across Northeast and North Central Florida, Girl Scouts are doing remarkable things made possible by cookie sales. During the 2018-19 Girl Scout Cookie program, Gateway Council will support the Greater Jacksonville Area USO with the Gift of Caring program. The Operation USO donation program allows customers to support active duty military personnel by purchasing packages of cookies to be delivered to service members and their families through the Greater Jacksonville USO Centers. Gateway Council also offers outreach programs to girls in underserved communities who wouldn’t otherwise have the opportunity to be a part of Girl Scouts. Gateway Council leaders believe every girl deserves access to the resources, role models and experiences necessary to fulfill her potential. This year Girls Scouts in the Northeast and North Central Florida region are selling eight varieties of Girl Scout Cookies. Do-si-dos, Samoas, Savannah Smiles, Tagalongs, Thin Mints, and Trefoils are $4 per box. S’mores and gluten-free Toffee-tastic are $5 per box. To learn more about the Girl Scout Cookie program or to find a location by using the Girl Scout Cookie locator, visit www.girlscouts-gateway.org/cookies. Girl Scouts of Gateway Council serves the Northeast and North Central Florida region where Girl Scouts are encouraged to unleash their inner G.I.R.L. (Go-getter, Innovator, Risk-taker and Leader)™ while striving to make the world a better place. To find out more about how your girl can get involved with Girl Scouts, to volunteer or donate, visit www.girlscouts-gateway.org or contact TriciaRae Stancato at tstancato@girlscouts-gateway.org or (904) 421-3484.